Xiaomi Minij Washing Machine — It looks like Xiaomi decided to flood the market with their products. 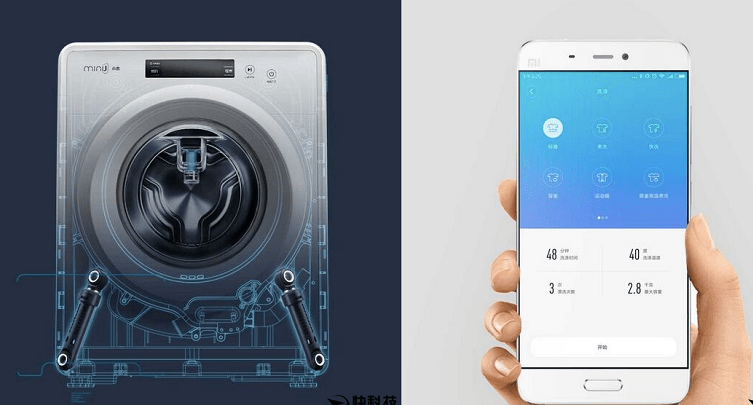 Now the manufacturer appears on the market of household appliances – will release its own washing machine called Xiaomi MiniJ in China. 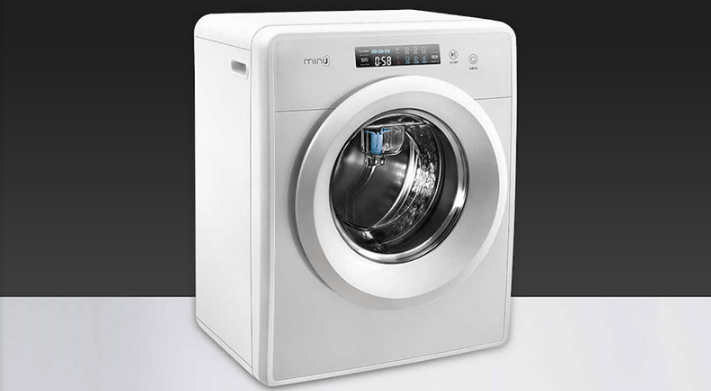 Washing machine Xiaomi MiniJ will have several modes of washing and drying, and manage and customize a variety of modes through a special mobile application. The app supports 14 different kinds of laundry mode which can be selected as is needed by a user directly through their smartphone. The washing machine is small and extremely portable, weighing around 34kgs, and has a capacity of 2.8kgs. It is 500mm wide and extends 630mm from the ground with a thickness of 415mm. The machine has a front load design and uses the drum mechanism to wash clothes. The Mi Washing Machine is energy efficient as well. Since the machine is small and compact, it also comes with child lock functionality. 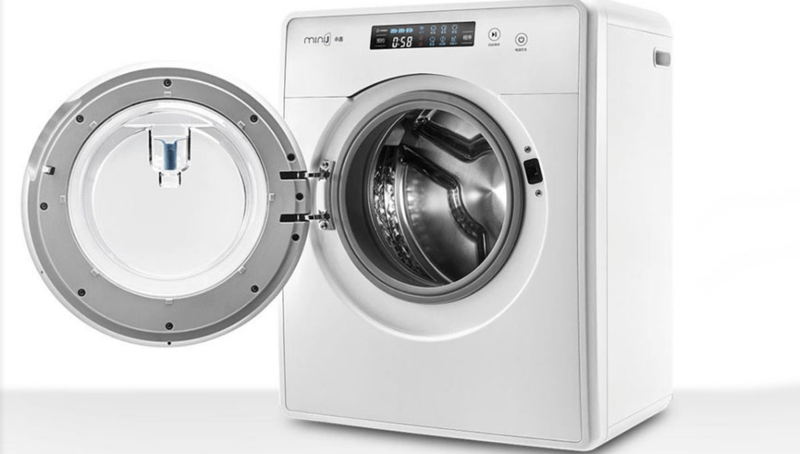 The Mi Washing Machine is equipped with an Amotec Kore DD inverter motor, along with Suspa shock absorbers, which are supplied by the same German company that provides the shocks for the Mercedes Benz E Class. Apart from washing the clothes, the Xiaomi smart washing machine also provides a high temperature “cooking wash” function which heats up as high as 95 ℃. The temperature has been tested to be capable of killing bacterias such as E. coli, and Staphylococcus aureus, providing up to 99.99% sterilization. Washing machine will be released August 27 in China, sales will begin in early September. Price: 1499 yuan, which is about 230 US dollars.